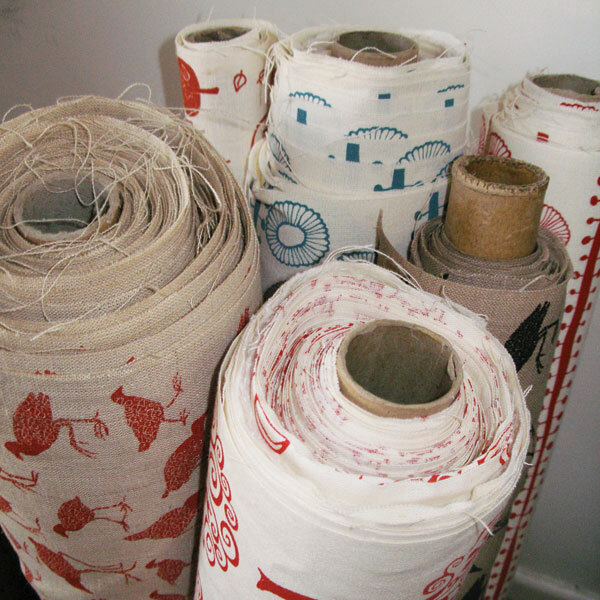 FK talks Caitlin from Melbourne based Homewares label Pippijoe. Pippijoe will be debuting at the Brisbane Markets next weekend. Introduce us to your brand, Pippijoe. 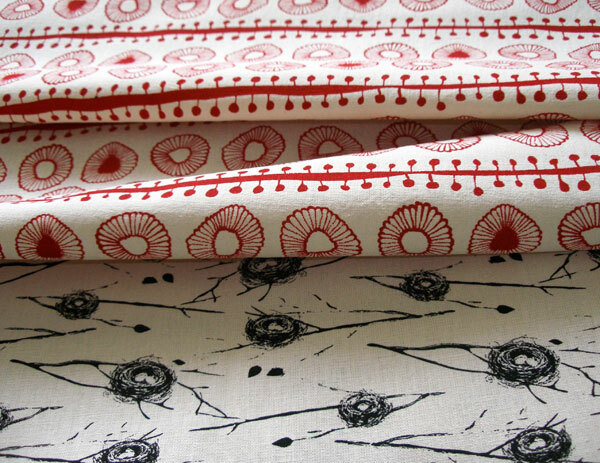 Pippijoe creates a range of screen printed organic fabrics and homewares, inspired predominantly by nature and landscape. 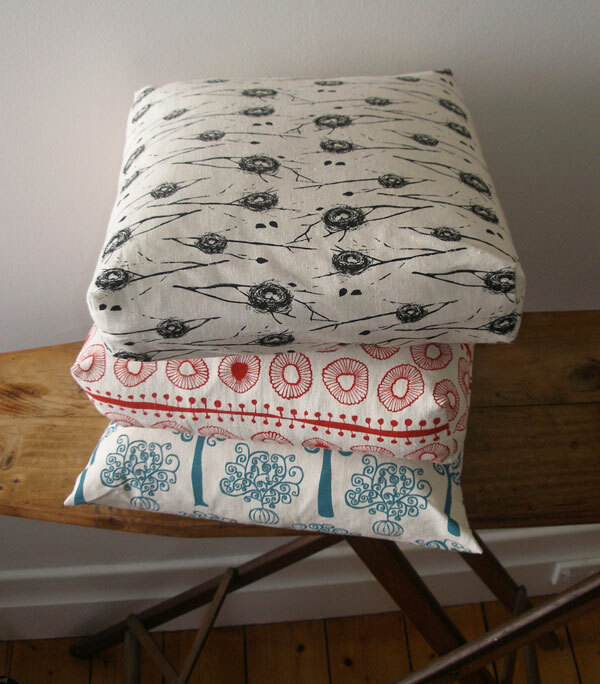 The various weights of hemp and organic cotton fabric are suitable for craft, clothing, soft furnishings and upholstery. How did you get started and what inspired you? 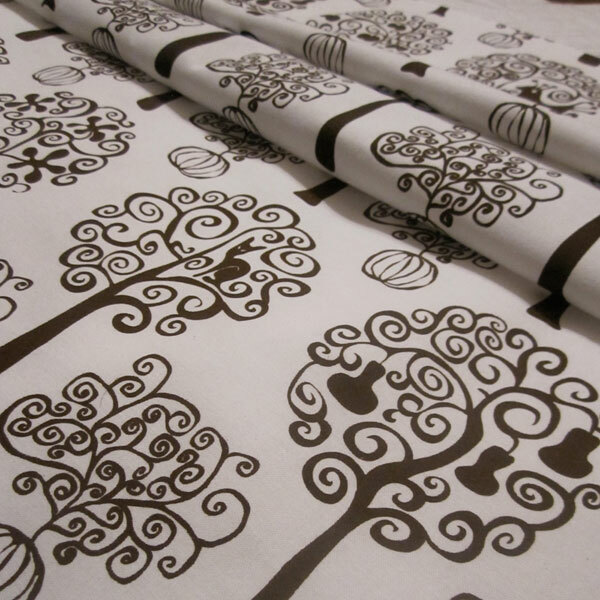 After my daughter was born I was inspired to try designing fabric. I’ve always wanted to have my own business and to me it was a perfect combination of my background of Interior Design and Landscape Architecture, and I could do it from home while being around for my children. Being on a ‘break’ from office work I had the chance to see if my new direction in design would work. Happily it has! I often sketch ideas on bits of papers or take photos of plants or patterns in the landscape. These are worked up on paper or on the computer into a repeat pattern. I choose fabrics for their texture and weave as well as their sustainable and organic qualities. Once the designs are printed on fabric I play around with the sewing machine and see what emerges. I love experimenting with different materials. Just give it a chance! I still feel new to the craft world and have found huge support from people I met through handmade and crafty communities and blogs. Research the best places to sell your product. An online shop is a great inexpensive way to start selling and to get your product seen. 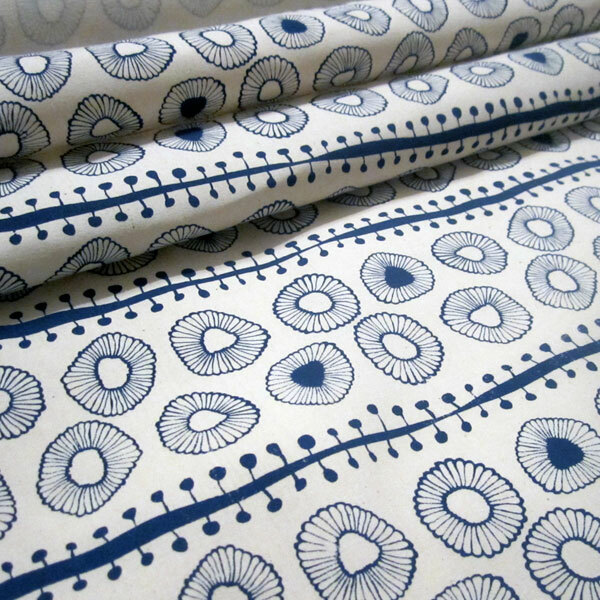 Where do you mainly draw your inspiration from for your textiles? I am a Landscape Architect and much of my inspiration comes from my love of nature. I often find patterns and designs in plants and their seedpods and leaves. I sit and draw with the kids and sometimes a pattern might emerge inspired by them too. I love reading design magazines and books as well. There are so many gorgeous ones! Marimekko, Florence Broadhurst, Orla Kiely and Tricia Guild are all designers who inspire. The absolute best thing about designing textiles is seeing how other people interpret the designs and what they make from it. I am always inspired by these creations! What are the next stages for Pippijoe? 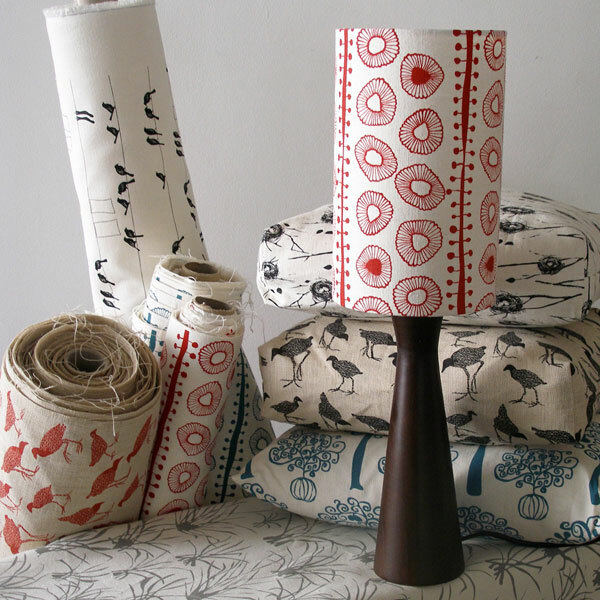 I am really enjoying developing an interiors range that includes drum light shades, lamps and cushions. I love to work with designers to create a complete coordinated interior scheme. For me, pippijoe has been a journey of discovery. I look forward to seeing where it takes me next!